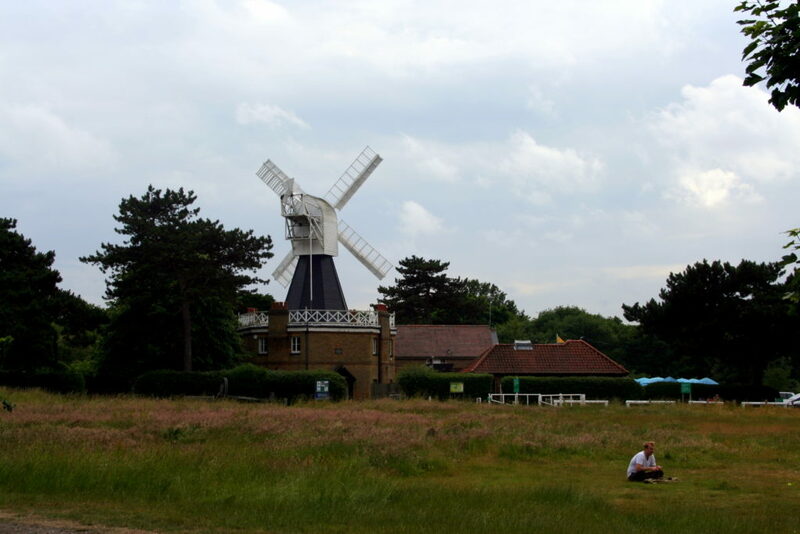 Wimbledon Common is a huge green area by the side of Wimbledon. It is entangled by a few major roads but cars die out eventually as I venture deeper in. 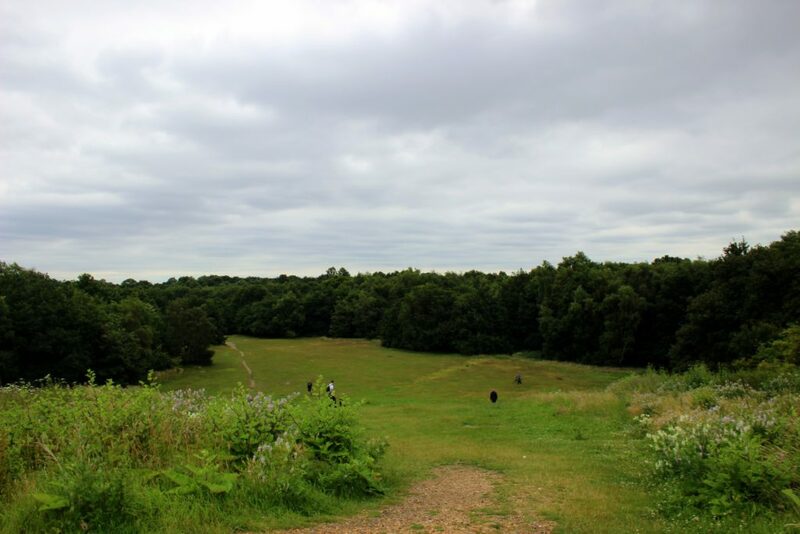 With 460 hectares of land, it is ranked 4th among green spaces in Greater London. Here was a popular duel place in the Victorian times – close enough to the city, but at the same time lonely and secretive. 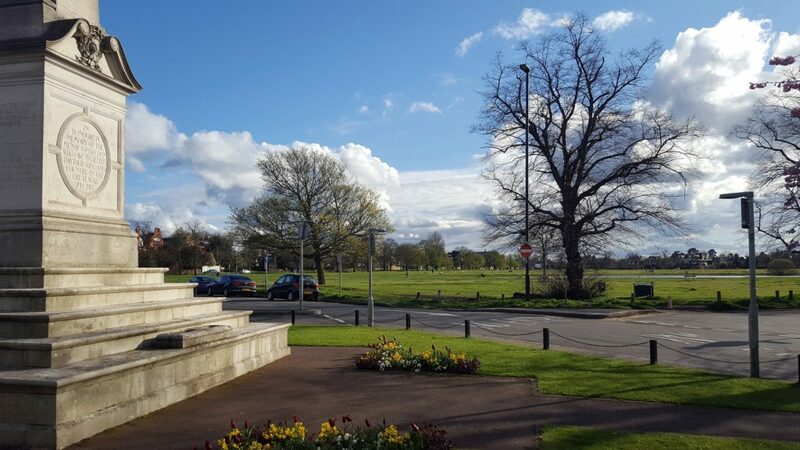 Now as well, unlike Richmond Park, which is just over the A3 or those of Central London, this Common does not boast, does not show off its grandiosity. In Richmond you loose yourself to wide open spaces. Here you loose yourself to the comfort of everything secretive, seclusive, dark. The Common is an agrophobic, sociophobic. it does not treat you to any open fields, it never easily surrenders a single step away from the path. I try to go up but even the highest points never yeild any views. 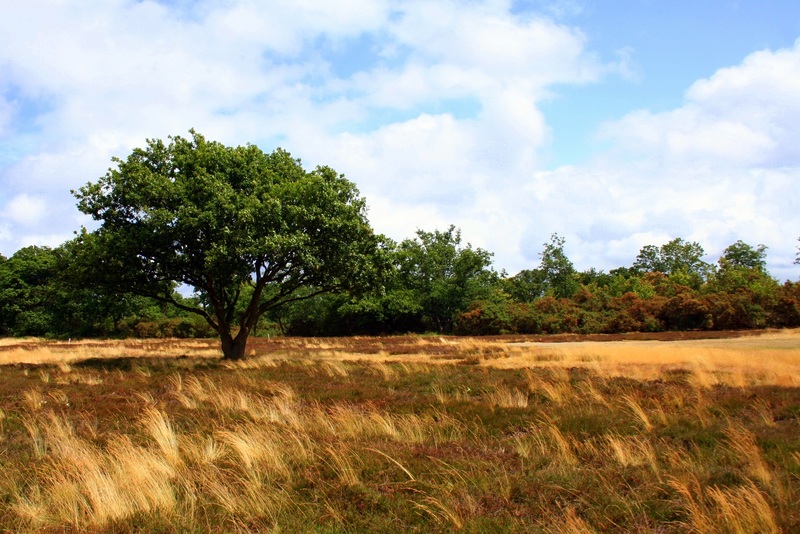 The trees stand up against those simple pleasures. Down below, beneath it is dark, humid, often airless. Paths stay muddy even after a few dry weeks. I does eventually give in to plains, reluctantly. The rules of attraction stipulate there must therefore be a golfcourse. 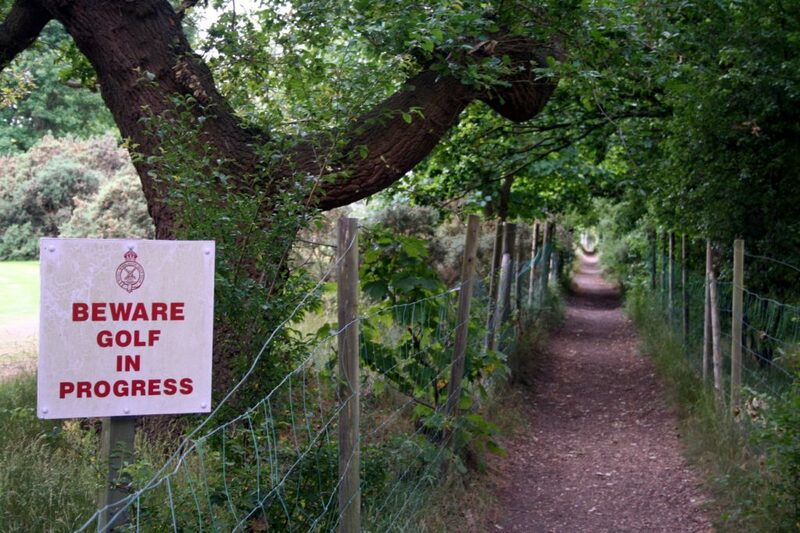 The path cuts through Ceasar’s camp, you would not notice it if not for the sign. Ceasar is a golfer now, as he should be. Public path cuts through the golf course. 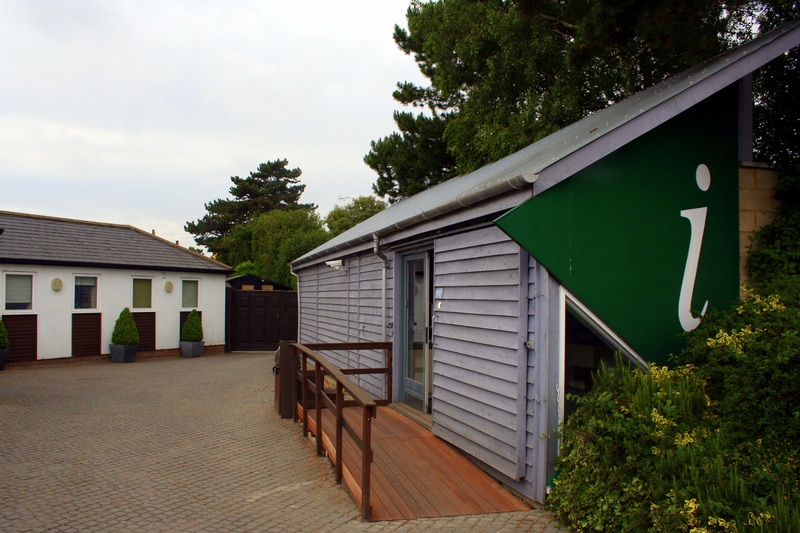 Next there is a small built up peninsular, a visitor center (wildlife, local history, duels, conservation attempts), an adjacent car park and an inevitable cafe (because everything is better when you attach a cafe). 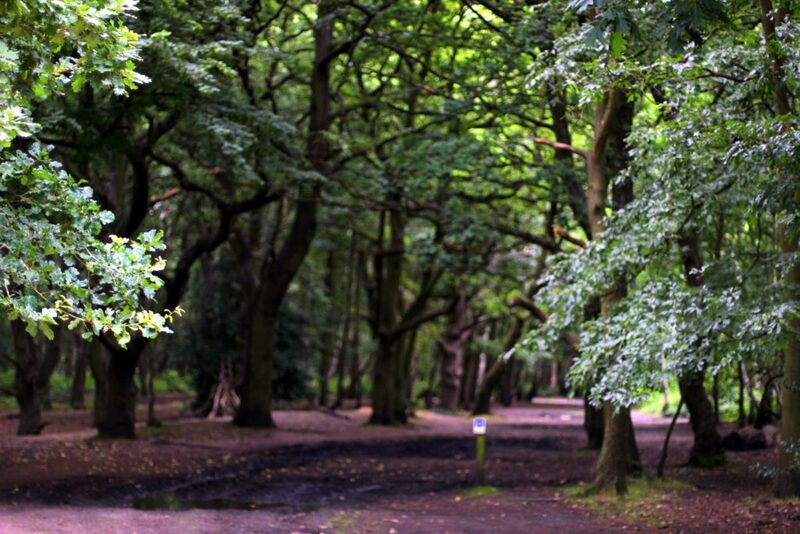 A focal point for the families and dog walkers who come to the Common. And then – there is a windmill. 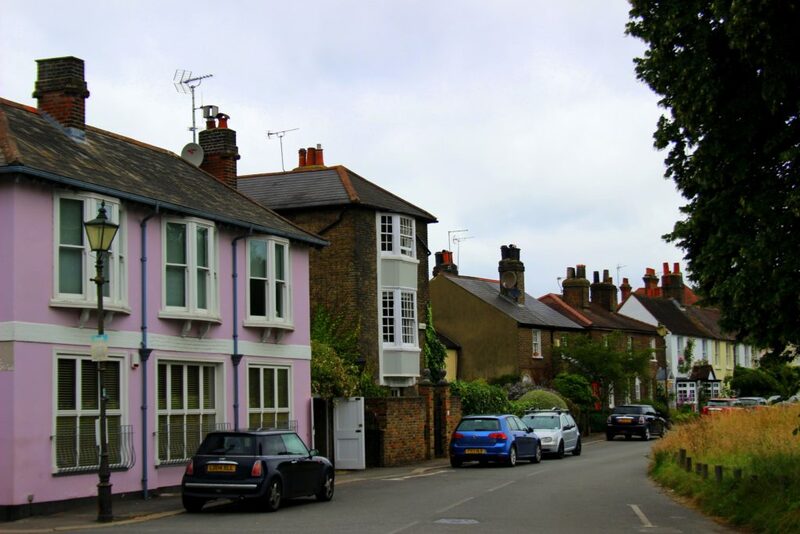 A small built-up neighbourhood inside the common. 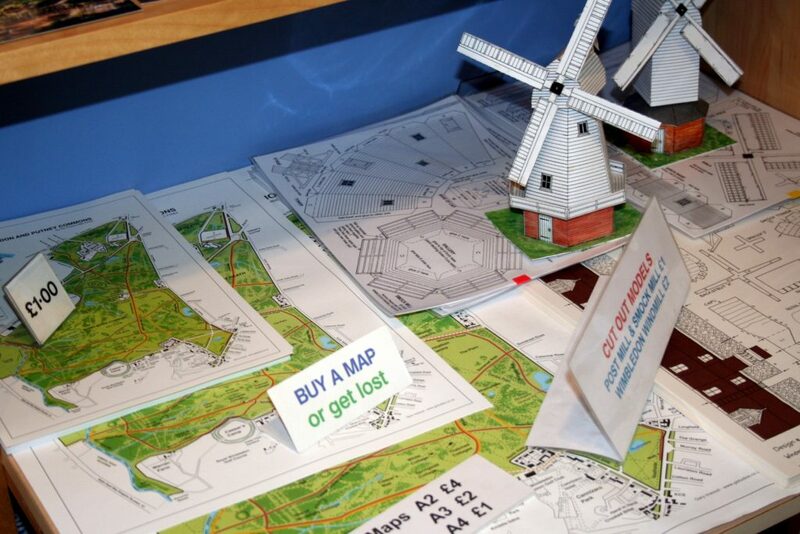 “Buy a map or get lost”. I am staring down at the paper sign on few maps for sale at the entrance shop. – Would you like to buy a postcard, perhaps, Sir? – a squeaky voice of an old lady awakens me from my daydreaming. 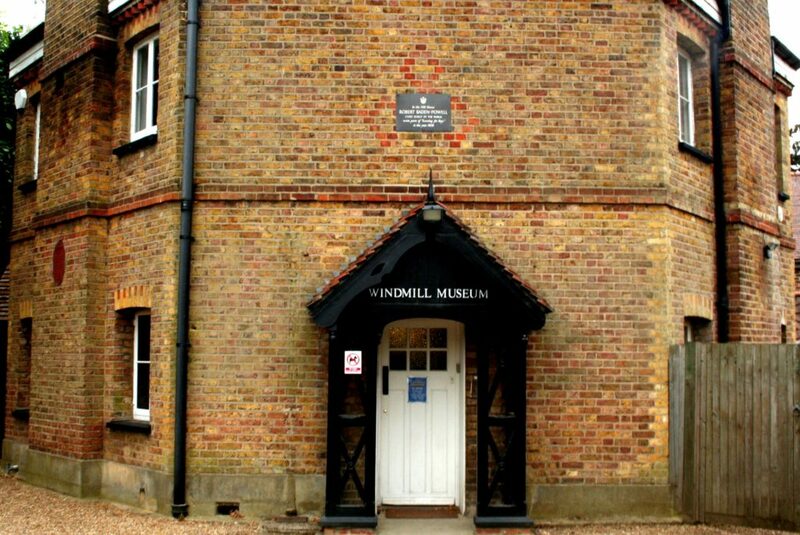 I do not, but then again, she is meek and the mill is cosy and I am sentimental, so I loose me defences and about five pounds to a few cute little postcards plus 50p for the entry. Buy a map or get lost! A Windmill is an ultimate photo accessory. With one of those inside a frame, pictures will always turn out cosy and idyllic. Once inside the museum, I step into a different, condensed and fragile environment. 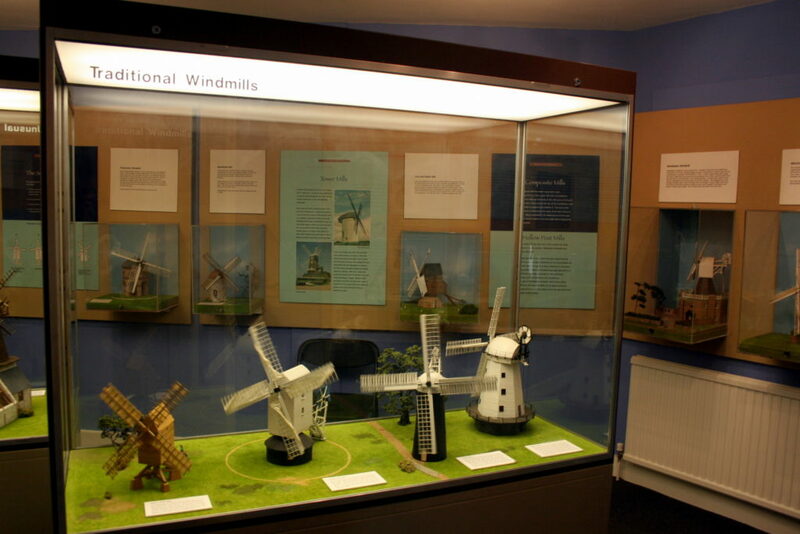 The downstairs section of the museum is factual, informative, easy to wrap your mind around. 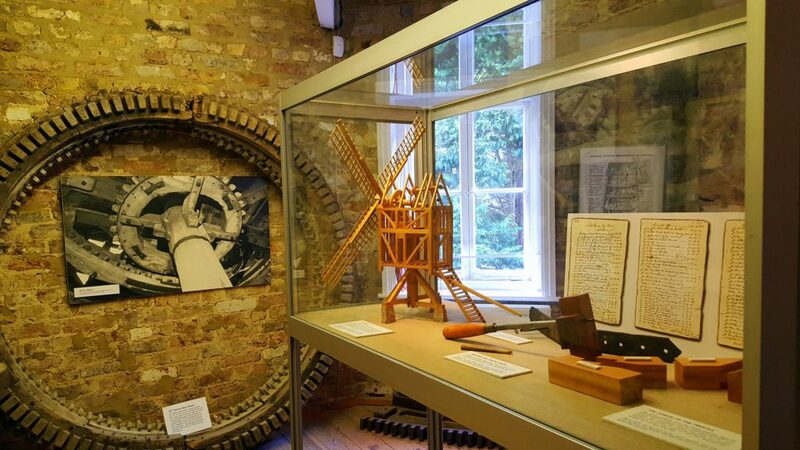 The visitor is taken from the principles of work of windmills to the application of those things in the modern electrical windmill farms. Nobody would ever build a windmill if they could build a watermill, they mention: water is much more reliable of a force. It never peters out or changes direction. Windmills are the result of human ingenuity, of being able seek and to find solutions. 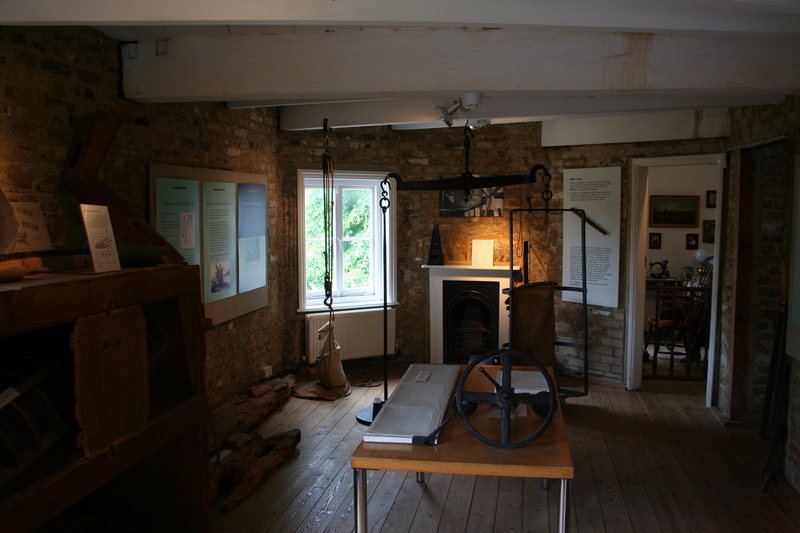 The small models of the different types of mills are in motion – rotating, cracking and each humming its sweet little song. This animation of the blades adds so much to create a lasting impression on the visitor. The exposition is not boring, not predictable – and this is an achievement in itself for a local museum. The first floor the atmosphere changes, it feels like a womb. Strangely downsized, human sized. 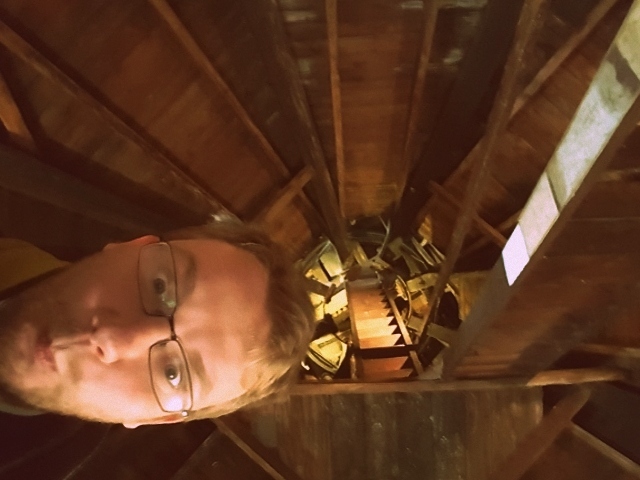 I experience squeaky floors, wooden beams and stairs and a weird warm feeling of finding yourself in a confined but cosy place. There is no grandiosity, the environment reflects the frankness and simplicity of the mill craft, the honesty and vitality of the profession. It’s very kids oriented, the little ones can try out grinding equipment. The most unusual feature here is a fireplace. You would not want to have a fireplace on your mill unless you wanted to orchestrate an ingenious insurance scam. This is a silent clue of the past: the mill was built in 1817 for the use of the local people still growing their own wheat at that time, but 50 years on this business became unprofitable so the mill was converted into six flats. There were private occupants up until 1995 when the Mill charity took over the whole of the building. 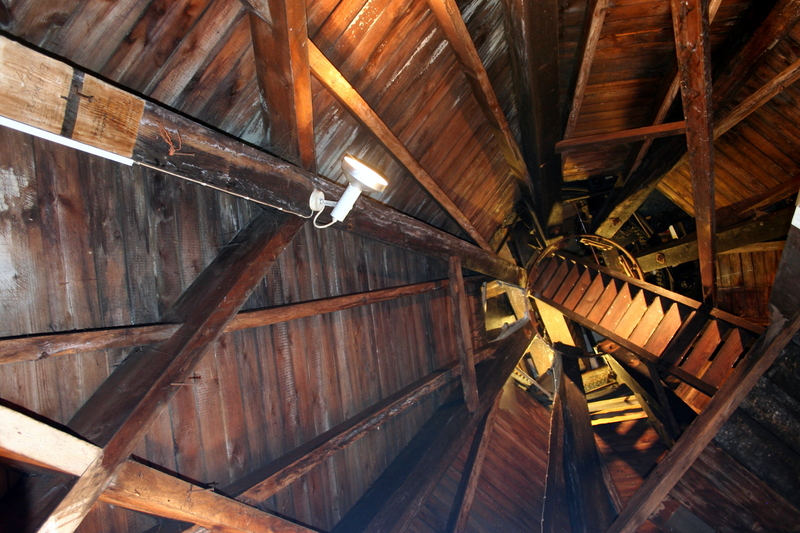 The exposition still retains both the mill and the flat parts. 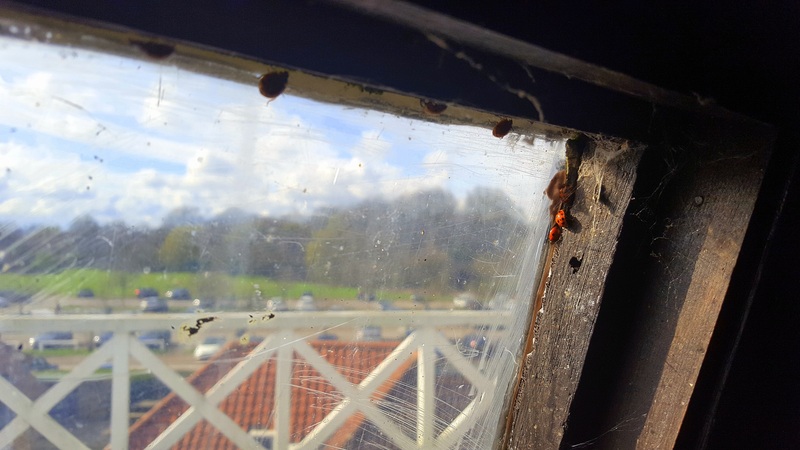 Ladybugs are sad hostages of the window on the second floor – a lookout of a perfect romance with the serenity inside. The firm texture of wood and bricks, the cosy quietness transforms the reality around you, takes you deep into its idyllic world full of working squeaky mills and grazing cattle. The roof goes on as a Gothic church, dark and hollow, but nonetheless skywards. It is indeed, a church, – not to worship an imaginary creature, but to celebrate human achievement and power. Mills seem to be a part of the silent brethren with the civil Belfies of Belgium and France, they defy the fear of supernatural origins of the world around and seek to understand it through knowledge. Meek as we may be in the face of the revolting nature, but we’ve learned how to tame her in the quiet times. And what could be quieter than a mill?